Kobian, the leading player in computer peripherals and tablets, unveiled their ultra-thin Tablet-mTAB7G- is 10.8mm thick, weighs 300gms and support 2G/3G connectivity. Mercury mTAB7G with built-in 3G/2G rolls your complete work and entertainment into your palm. It is powered by 1.2GHz Cortex A8 core processor and operates on the latest Android 4.0.4 Ice Cream Sandwich platform to provide faster data access of all the applications. It comes with 4GB internal memory which is expandable up to 32GB via micro SD card. It supports SIM calling, Wi-Fi IEEE 802.11 b/g/n, Adobe Flash 11.1 online video. Dual Camera and built-in speaker with full HD adds to the overall experience of watching movies, surfing, playing, networking and many more activities. It comes with headset supported with a mic allowing users to receive and make calls using the tablet as their regular phone. Mercury mTab 7G is preloaded with various APPs like KingSoft allowing users to work on documents and presentations with much ease. Adding to the entertainment quotient, it comes preloaded with Spuul, the popular app for streaming Indian movies and TV shows anytime and anywhere. The launch offer from Mercury brings the above package bundled with a Tablet case cover with Keyboard worth Rs. 899 absolutely Free for the masses. Sushmita Das, Country Manager - India at Kobian Pte Ltd said "Our latest mTab is designed for the people of all ages. The Mercury mTab7G aims to synergize work and entertainment in your palm. What makes us different is that we make Technology affordable and bring the product loaded with features to the masses." mTAB7G comes with an MRP of Rs. 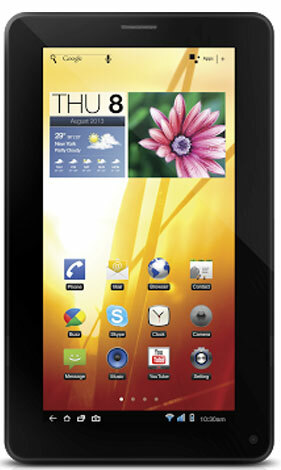 7,799 and is expected to be available from 25th May 2013 with 1 warranty. Kobian Pte Ltd, since its inception in 1978, has always led the way, breaking boundaries and taking on new challenges head on. From the onset Kobian has cultured a passion for innovation through the development of easy-to-use, dependable technology to bring out the very best in people. "Our latest mTab is designed for the people of all ages. The Mercury mTab7G aims to synergize work and entertainment in your palm. What makes us different is that we make Technology affordable and bring the product loaded with features to the masses."